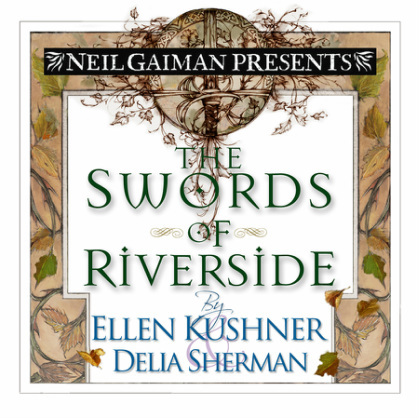 Narrated by Ellen Kushner and Barbara Rosenblat (Orange is the New Black) with a supporting cast. 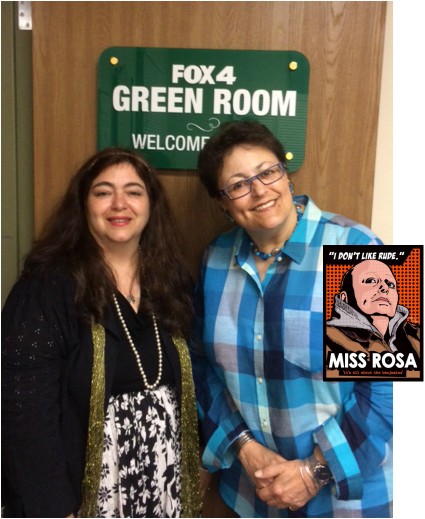 Sue Zizza (left) with narrator Barbara Rosenblat, also known for her role as Miss Rosa on Orange is the New Black on Netflix. Samples from SueMedia's recent production of The Fall of the Kings will be a featured work in the Sennheiser/Neumman Listening Room at the 2014 HEAR Now Festival in Kansas City, MO. "This year we have selected short sections from the book that not only highlight the wonderful story and performances, but will give those visiting the Sennheriser / Neumann Listening Room a chance to compare a variety of monitoring choices for their studios or home listening environments," explained Sue Zizza. SueMedia is delighted to announce that Swordspoint will be a featured work in the listening programming at the HEAR Now Festival in Kansas City, MO. "We're delighted to be included this year. 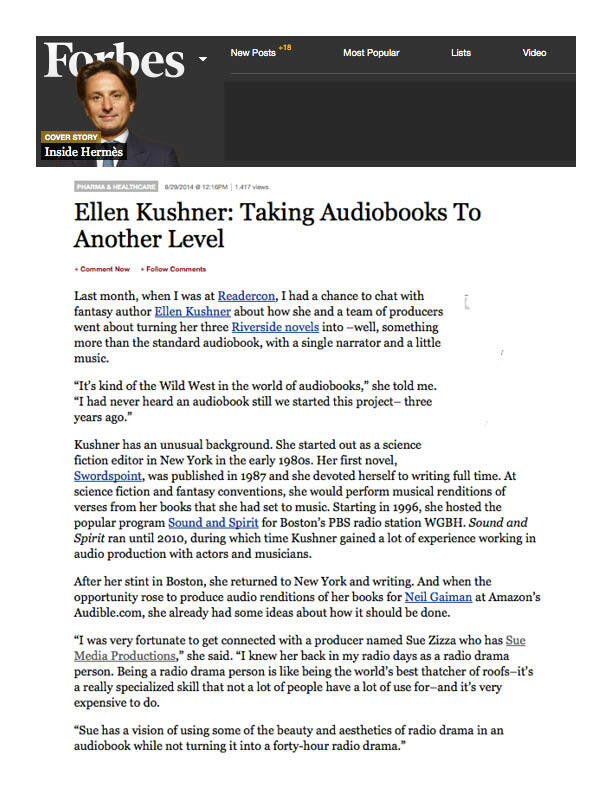 The Festival will feature a 30 minute sample from the audiobook with discussion on the production techniques used and more," explained Sue Zizza. We attend annually to share our latest projects, enjoy new films, and meet interesting artists.